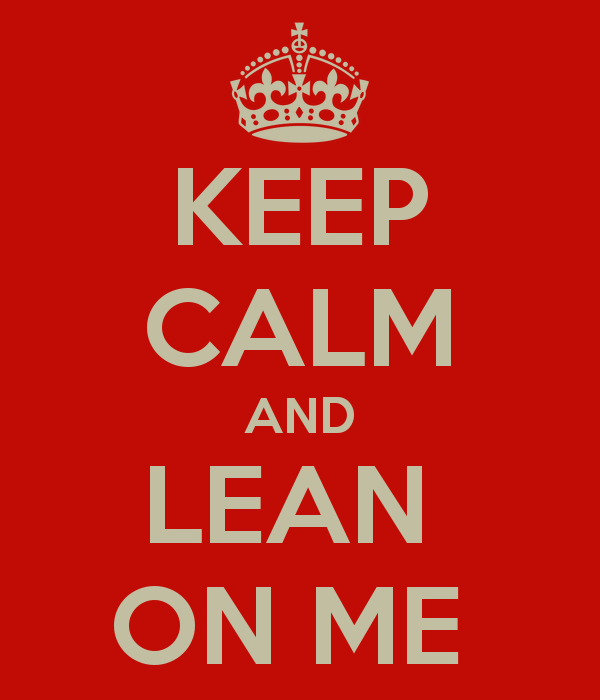 Lean on Me or Lien on Me…. As a growing subcontractor, you often need someone to Lean On as your business continues to grow. Construction Finance is here for you to Lean On. But, Sometimes, when projects don’t pay as outlined by your contract, you need a bit more. You may need someone to “LIEN ON”. We love to measure success by helping companies with their cash flow challenges, thereby allowing them to take on bigger projects. Watching our clients Grow as they LEAN on us for financial support is a truly awesome feeling. However, one of our proudest moments last month involved the other L word, LIEN not LEAN. Our client began to panic near the end of a commercial project. Payments from her contractor to her seemed to dwindle. We assured her that she could LEAN on us. At NO additional cost to our client Construction Finance had already issued necessary Preliminary Notices along with other documents to the General Contractors and Project owners to ensure that our client’s payment rights were protected. Our client initially LEANED on Construction Finance for working capital. But, she was so thankful that part of our services are to protect her LIEN rights throughout commercial projects. 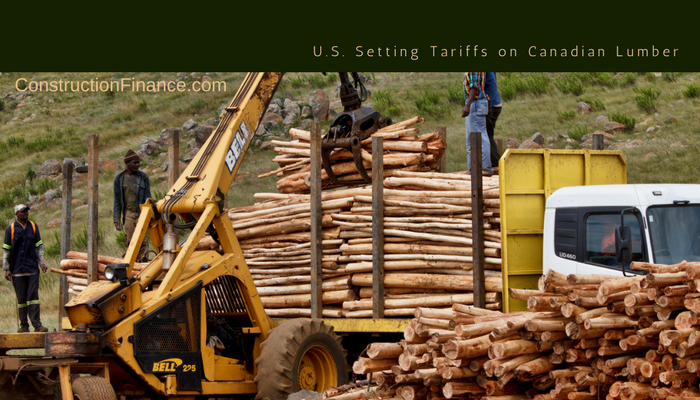 While these Canadian subsidies were a benefit to many of those in the construction industry, the U.S. Commerce Department feared that this put the U.S. lumber industry at an unfair disadvantage. This, of course, poses a quandary with regards to Trump’s ‘America First’ plan. On one hand, cheap building materials are a huge boon to those in the construction industry. On the other hand, our industry relies on a robust overall economy; what helps one sector often helps us all. Ultimately, time will tell what this means for the construction industry. Lumber is a commodity that often sees wild fluctuations. Most likely, we’ll see a short term spike in lumber prices, followed by a leveling out. As always, though, this is a reminder to be cognizant of changing material prices when bidding on work. Lumber in particular tends to be volatile, so when placing bids, remember that lumber prices can change drastically over a short span of time! Construction Finance Funds 150k to Security and Fire Protection Contractor. This contractor had a limited line of credit at his bank. C F paid off the line and offered much more working capital to the client. 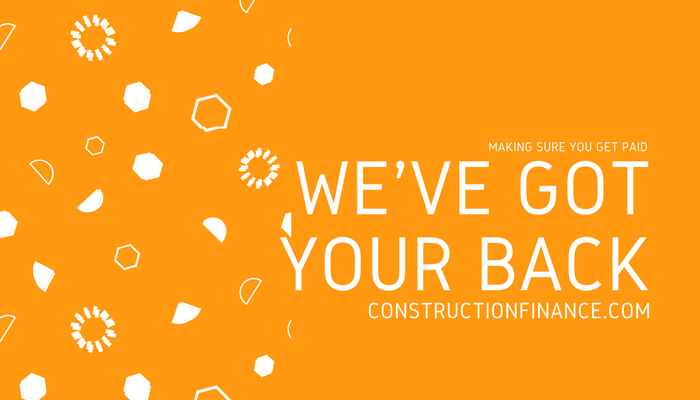 At Construction Finance, NO monthly minimums are required! 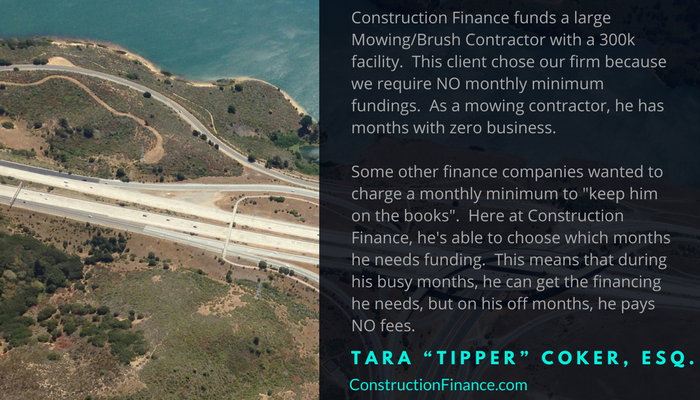 Construction Finance funds a large Mowing/Brush Contractor with a 300k facility. This client chose our firm because we require NO monthly minimum fundings. As a mowing contractor, he has months with zero business. Some other finance companies wanted to charge a monthly minimum to “keep him on the books”. 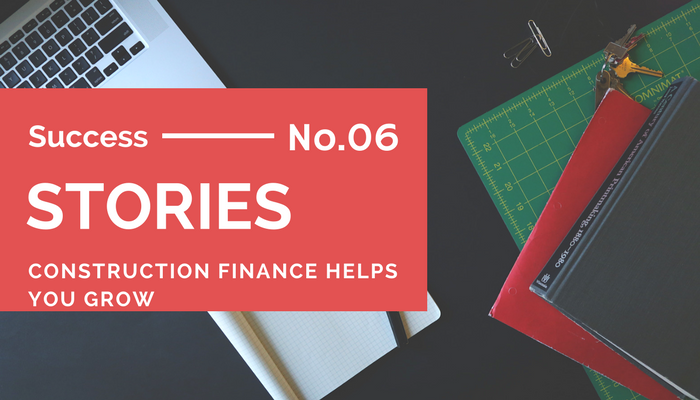 Here at Construction Finance, he’s able to choose which months he needs funding. This means that during his busy months, he can get the financing he needs, but on his off months, he pays NO fees. Construction Finance approves 300k funding facility to Ready Mix Plant in TX. This Concrete plant is able to take advantage of deep discounts with aggregate/sand/ash suppliers by partnering with Construction Finance. 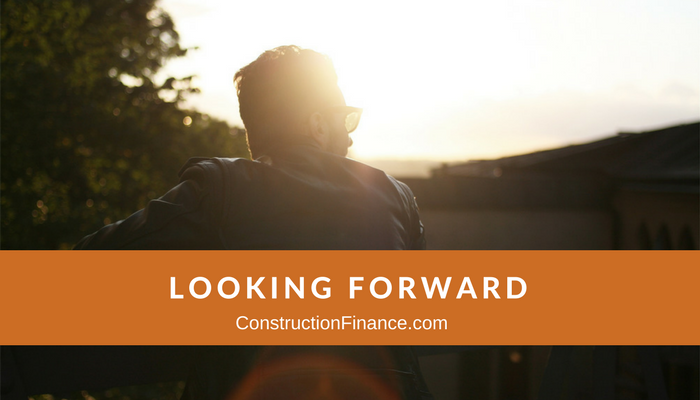 Here at Construction Finance, we do far more for our clients than just advancing them the money they need to pay for labor and materials. While that is the primary benefit of factoring, one hidden bonus is that we’re in the business of making sure everybody gets paid. By reviewing the contractors you will be working for, and proactively protecting your lien rights, we help ensure that you’ll be able to collect the money that you’ve worked so hard to earn. This is just one of the many benefits of using us for your growing company’s needs. 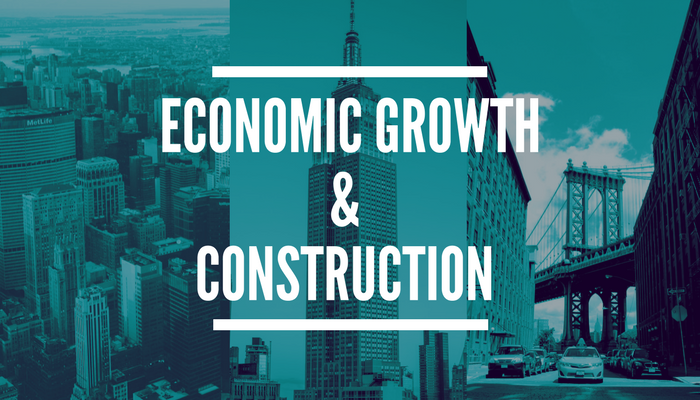 What Does Increased Economic Growth Mean for Construction Profits? After years of slow economic growth following the 2007 economic downturn, the economy is finally showing sustained growth. Revenue numbers in the S&P 500 are now higher than they have been in years, and US consumer sentiment is at a 17 year high, topping even pre-recession levels of consumer confidence. This presents an important question for the construction industry: Will we too see stagnating profits even the face of overall growth? Without a crystal ball, it’s impossible to know. It is likely that a strong global economy will drive up the cost of materials, and right now, Europe is enjoying decent growth. However, as everyone who’s worked construction knows, hiring construction workers is an entirely different ballgame from hiring accountants or salespeople. Often, traditional employment metics have little relation the nuts and bolts realities of our jobs, and the things driving up labor costs for Goldman Sachs don’t have much bearing on our lives. Only time will tell, of course, but I predict that we’ll see construction profits continue to increase–good news for those of us who’re already working with tight margins! Factoring in Fall! YES! Please! Hello FALL and cooler temps! The construction industry is back and getting stronger than ever. Commercial contractors are striking while the iron is hot. With more projects than ever, commercial contractors have a golden opportunity. With Construction Finance, contractors can take on larger projects and pay suppliers and payroll faster than ever before. The hidden gem of construction factoring is LONG overdue. Industries such as medical, staffing, trucking, and many others have relied on accounts receivable factoring for years to help them grow. Finally, contractors can use invoice factoring as well in the BOOM time for the commercial construction industry. Electrical Contractor was doing 20-30k monthly just over a year ago. He was offered a large Industrial Time and Materials Maintenance contract. After receiving a $250,000 factoring facility from Construction Finance to be able to support his increased labor costs, this contractor is now doing nearly $3 million annually. Are you tired of turning down construction prospects because they tend to be too complicated or messy? 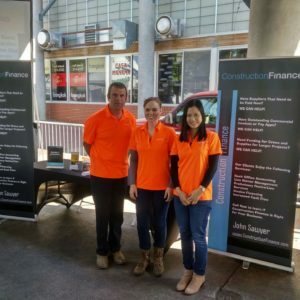 We have over 20 years experience in the construction business coupled with over 30 years in invoice finance. We personally fund 100% of our clients and are committed to providing your referral prospects with quick responses. Check out our broker referral agreement and our client application. You can learn more about us at our website or contact us today. P.S. We also have great introductory videos for you to share with your prospects about how construction factoring works. See them all here. MO Demolition Contractor receives 250k funding facility from Construction Finance. With Construction Finance, this woman owned construction company is able to procure multiple City and State projects. Her customer advised that no contractor has finished the demo projects so quickly. She advised, “Finishing quickly is easy when you have cashflow to pay the crews quickly”. For more information on invoice factoring and if it’s a good fit for your company, contact John Sawyer today! Self examination is a great exercise that needs to be practiced from time to time. Especially for Entrepreneurs! Check out a few of the different traits and profiles of great entrepreneurs below. Sooooooo……which type of entrepreneur are you? Drop a comment and let us know! Without Guts dominant people we may still be living in the hovels and catching fish with pointy sticks.